If you’re communicating with customers, it’s important that information is accurate. 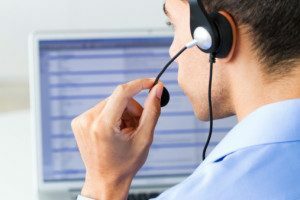 Revenue Canada recently found out the hard way why this can get you into trouble when it was revealed that four out of five callers were being given inaccurate information when calling for tax help. While receiving inaccurate information about a product or service may not be as bad as receiving bad information for something as important as taxes, 3C Contact Services believes that if agents give poor information to their customers, it can lead to lost profits through refunds, bad word of mouth, and customers taking their business to competitors. Knowledge is a priority when training new employees. You must make sure your agents are knowledgeable about your products and services and do not provide any misleading information. If necessary, you can monitor a new agent the first few days they are on the job to make sure that they are providing reliable information. 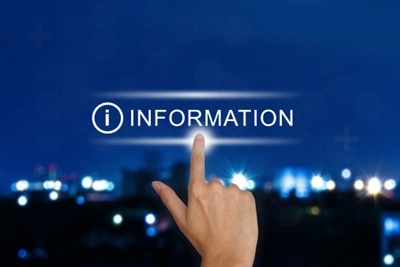 Be sure to stress the importance of providing accurate information to your agents as well. Explain that even the smallest bit of poor or false info can lead to a customer asking for a refund, if not worse. Make sure that your business representative know the correct answers to any potential questions that may arise; if they get one wrong, keep going over it until they get it right. It is also important that you continually expand the list of common questions your organization may receive. There’s always a chance that rare question may come up again, so you want to be sure your agents have fast and easy access. Many organizations have a list of frequently asked questions (FAQ) available on their web site. It is also important that your agents are familiar with this list as well, as callers may not have access to the Internet. Make sure that your FAQ is put in simple, easy-to-understand language and, most importantly, is accurate. Your customers may not have the knowledge that your agents do, so you want to be sure that they can easily understand. And don’t just direct your customers to the online FAQ; answer any questions they may have. It’s also important that your agents have a list of any questions that customers may have that includes the answers. It is important that you continually update the list of questions and answers, no matter how obscure they are; you never know when a question may come up again! Making sure your agents’ knowledge about your organization’s products and services is highly accurate. It can be something as simple as having an auditing agency call in to test knowledge or testing their knowledge yourself; this is a good way to gauge which agents are keeping up-to-date and which ones are letting their product knowledge slip. If it seems like an agent is receiving a lot of complaints or returns, determine if it is because they are not providing accurate information and if so, take steps to correct it.